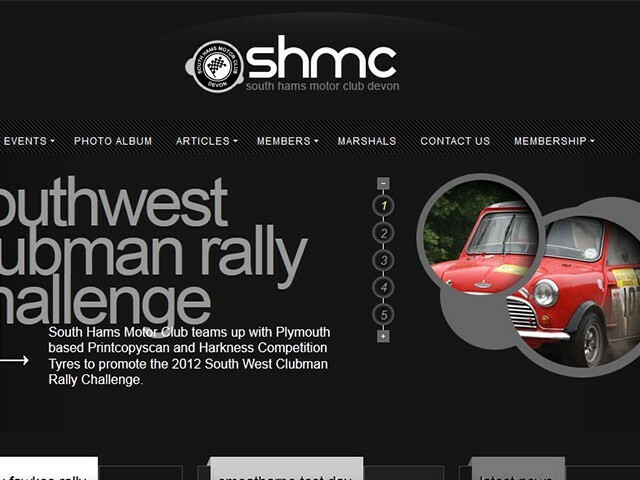 The South Hams Motor Club has its roots firmly in club level motorsport, hosting major events such as the TSH stages, Guy Fawkes Rally, Nightmare Rally, Autocross, Sprints and Test days. Over the last 40+ years the club has established a great reputation for promoting motorsport in the southwest of England and their website reflects a modern, dynamic, forward thinking club. Clocked Web Development has hosted the SHMC website since 2012, running a Joomla CMS platform with bespoke template design.